AP EAMCET 2019 #Results, #RankCards, Preliminary #Key-Final Key/AP EAMCET 2019 Engineering and Medical Exam Question Paper and Key: Engineering, Agriculture and Medical Common Entrance Test (EAMCET) is conducted by Jawaharlal Nehru Technological University Kakinada on behalf of APSCHE. This examination is the prerequisite for admission into various professional courses offered in University/ Private Colleges in the state of Andhra Pradesh. JNTU, Kakinada issued the AP EAMCET 2019 Notification in February 2019 and the JNT University invited the Online Applications from the Eligible students for admission into various engineering medicine and agricultural courses through EAMCET 2019 from ....-03-2019. Applied students were downloaded their hall tickets from ..-04-2019 and they were appeared the entrance test from ...-04-2019. Step 1 – Go to the official website of APSCHE (sche.ap.gov.in). 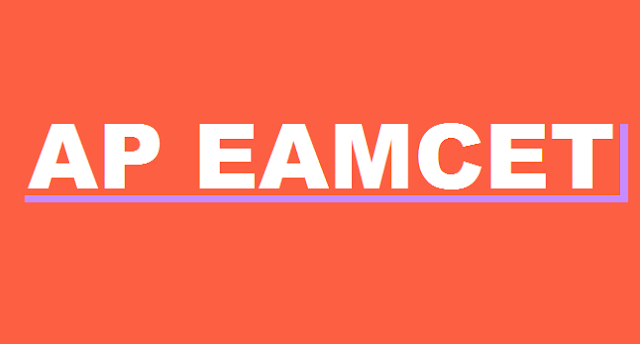 Step 2 – Click on the tab for “AP EAMCET 2019”. Step 3 – Click on the link “Original Question Papers & Keys (with out Jumbling)”. Step 4 – Select the paper for which you have appeared. Step 5 – Fill in the details in the fields provided. Step 6 – Download the answer key and question paper for further reference. AP EAMCET 2019 results on May 2 at sche.ap.gov.in: The Jawaharlal Nehru Technological University (JNTU), Kakinada has to be announced the results of the Andhra Pradesh Engineering, Agriculture and Medical Common Entrance Test (AP EAMCET) 2019 on May 3. Step 1: Go to the official website of APSCHE (sche.ap.gov.in). Step 2: Click on the tab for “AP EAMCET 2019”. Step 3: Click on the link “AP EAMCET RESULTS 2019”/ “View your result” at the bottom of the page. Step 6: Click on the submit button in the details in the fields provided. Step 7: Download Results and take the printout for further reference.